Elmer Driving is a driving school serving the Watnall test centre and surrounding areas. We are a driving school that welcomes beginners, intermediate and experienced drivers alike. Elmer Driving School also has special offers for Nottingham’s learner drivers. 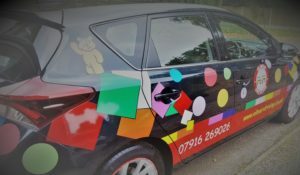 If you want to learn to drive in Nottingham, Elmer Driving offers a range of driving school services lessons tailored to your ability. In addition to student discounts we also offer discounts for block bookings, if you wish to find out more, contact us today by filling in the form on the contact page and we will respond as soon as possible.